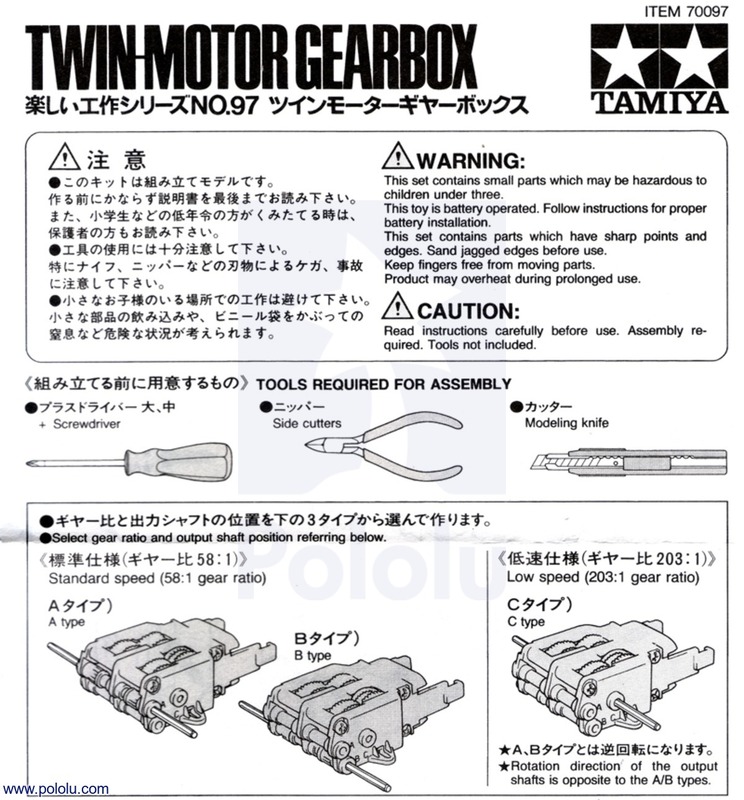 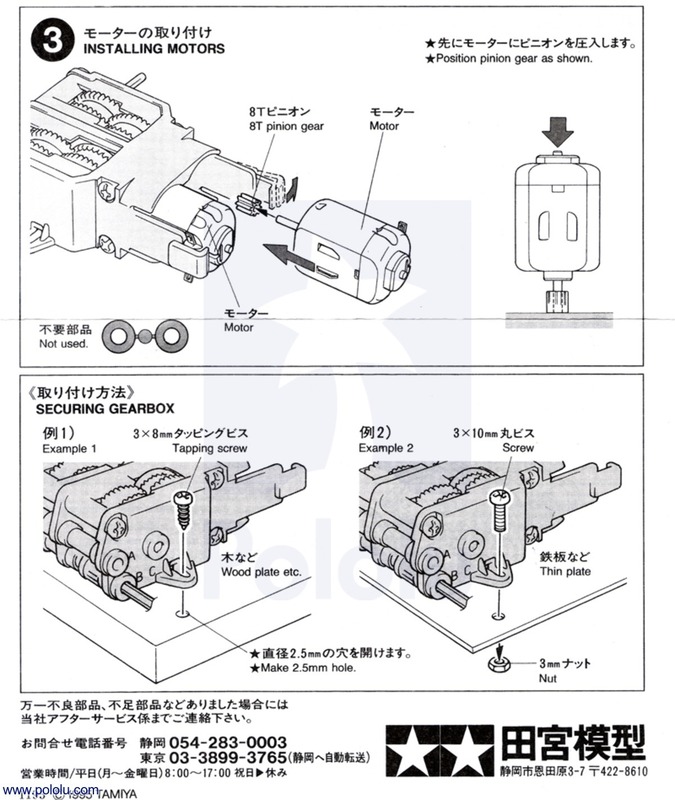 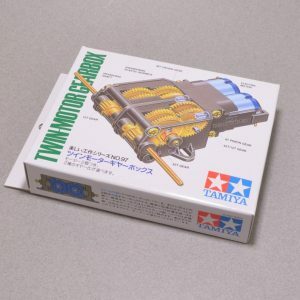 The Tamiya twin-motor gearbox is a small (3-inch long) plastic gearbox. 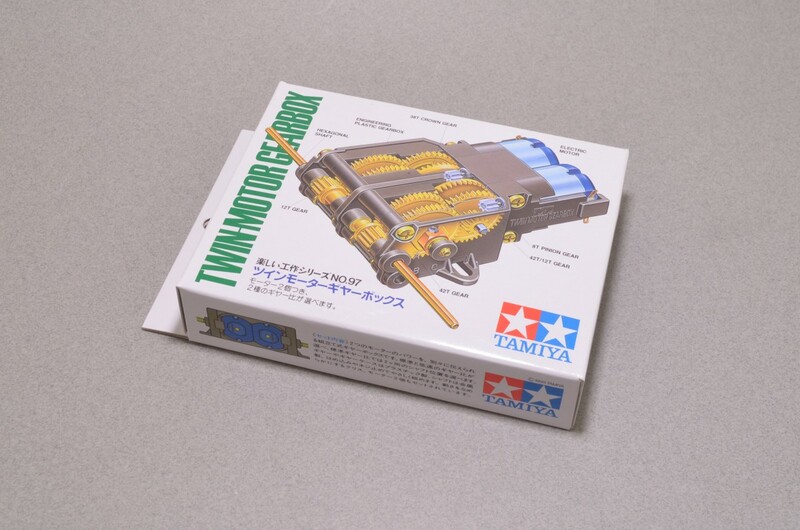 It contains two small brushed DC motors that drive separate 3mm hexagonal output shafts. 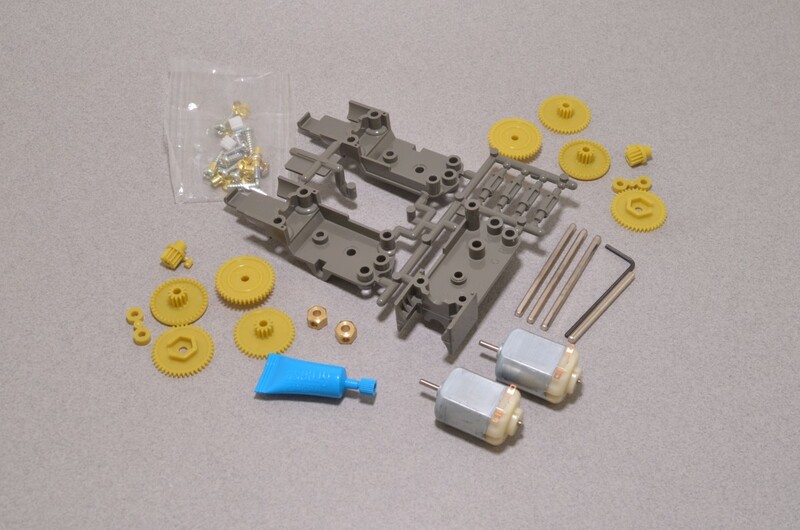 There are two ways to put the kit together: with a high-speed 58:1 gear ratio or with a slower 203:1 gear ratio. 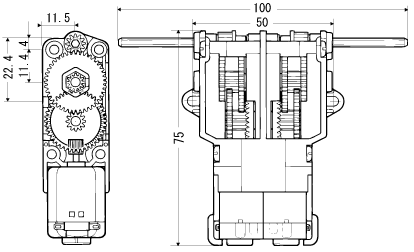 Either way, the motors provide plenty of power to drive any small robot. 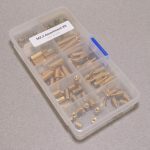 The output shafts included in this kit are 3 mm hexagonal axles that are 10 cm (about four inches) from tip to tip. 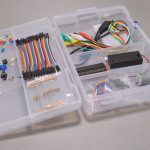 The two low-voltage motors run on 3-6 volts and draw up to a few amps, making them perfect candidates for the DRV8833 Motor Driver breakout, Dual Motor Driver for Arduino, or the Dual Motor Driver for Raspberry Pi. 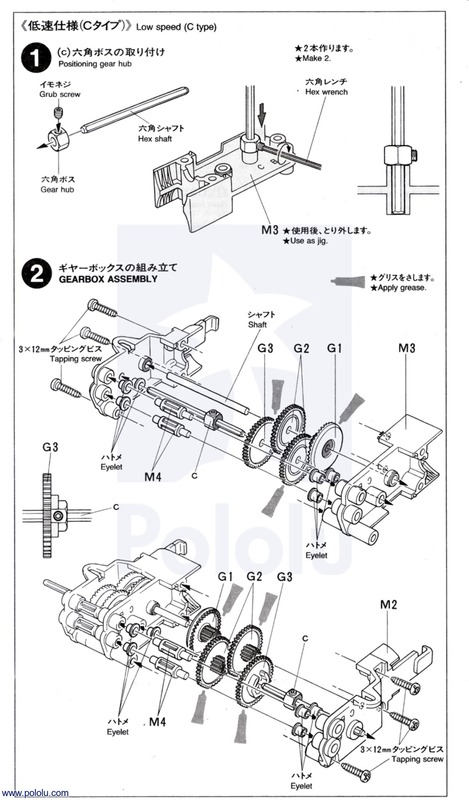 SKU: ROB-117. 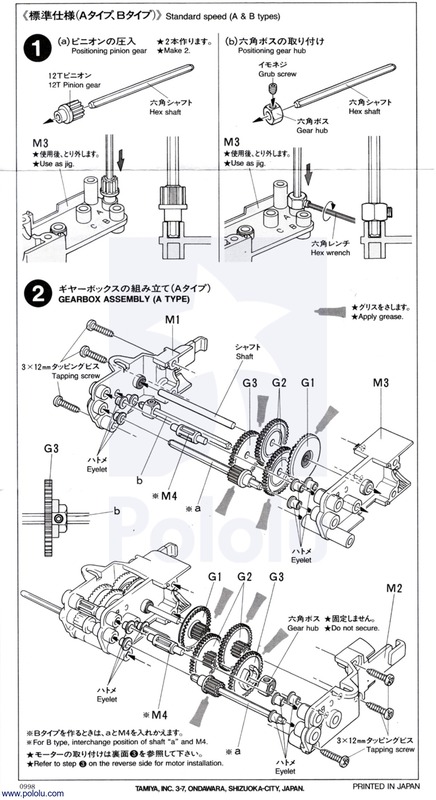 Category: Gearboxes, Gears, and Shafts. 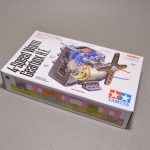 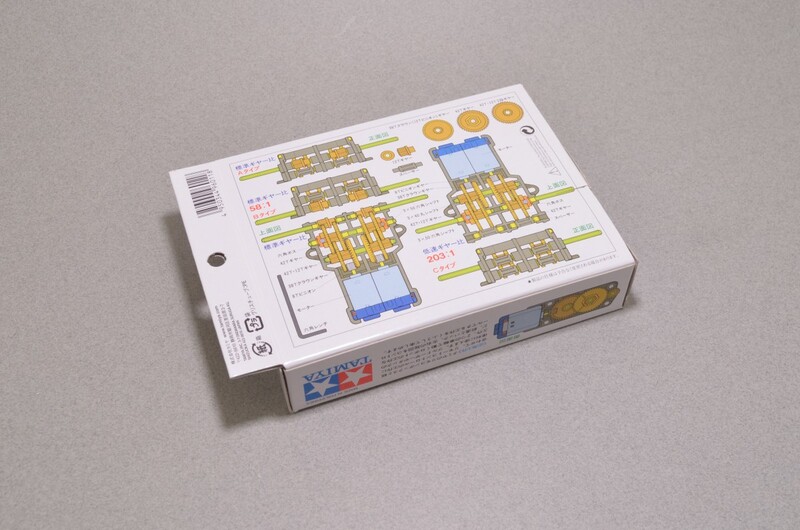 Tags: Kit, Starter Kit, Tamiya.